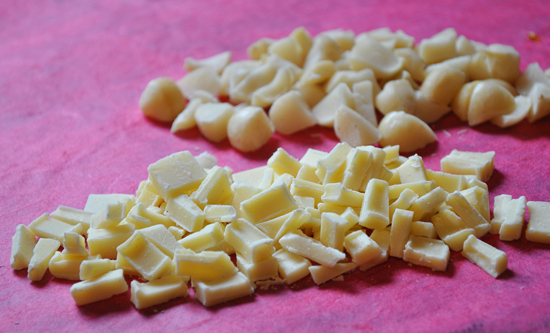 I love White Chocolate Macadamia cookies–they are perhaps one of my favorites. It seemed like a good idea to translate this flavor into a cupcake. While the white chocolate macadamia base tasted wonderful on its own, I thought that the caramel butter cream added a little bit extra. 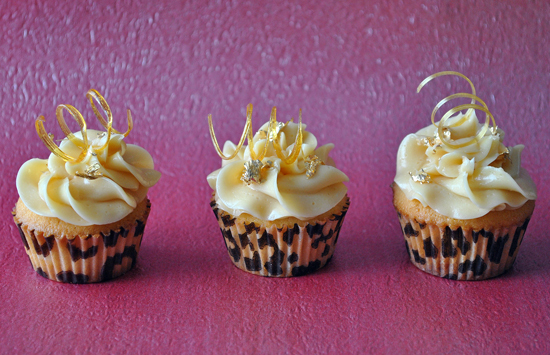 If you happened to be at Cupcake Camp Toronto, you might have gotten a chance to try them. Regardless, here is the recipe so you can try them at home! Enjoy. 2. Remove from heat, and allow the mixture to cool (approximately 200′F). mixture will begin to harden, as the milk is at a colder temperature. heat-proof bowl. Cover, and set aside to cool. room temperature, and beat on low speed until fluffy. 1. Preheat oven to 350°. Line cupcake pans with paper liners and set aside. In a large bowl, combine flours, baking powder, salt, white chocolate, and macadamia nuts and set aside (dry ingredients). In a separate bowl, combine eggs, milk, and vanilla (wet ingredients). 2. 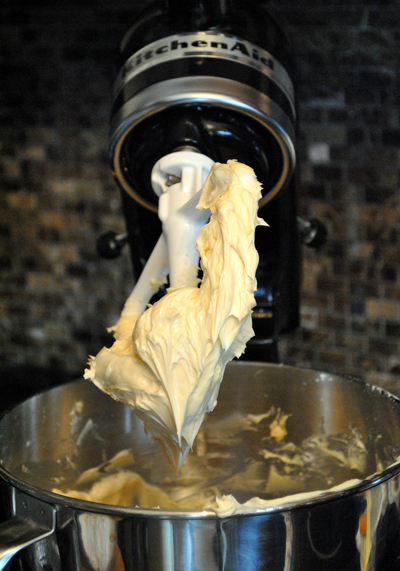 Using an electric mixer, cream butter and sugar until well combined and smooth. Slowly incorporate the dry ingredients. With mixer on medium speed, add wet ingredients in 3 parts, scraping down sides of bowl before each addition; beat until ingredients are incorporated but do not over beat. 3. Divide batter evenly among liners, filling about two-thirds full. Bake, rotating pan halfway through, until a cake tester inserted in the center comes out clean, approximately 10-12 minutes for mini cupcakes, 17 to 20 minutes for large cupcakes. 4. Transfer cooked cupcakes to a wire rack to cool. Once cooled, frost with icing, and garnish with caramel swirl. Those look awesome! Not sure I have all the skillz (or patience) for the spirals, though. once again you amazed us with your talent and passion for baking.congratulations! these are not very good….I tried the recipe because it looked great, but it was a dissapointment. They tasted more like dry muffins instead of cupcakes…. hmm. I'm sorry to hear that– mine turned out so moist, and almost too gooey. I'll have to re-try the recipe, and double check my results. How long did you bake them for? 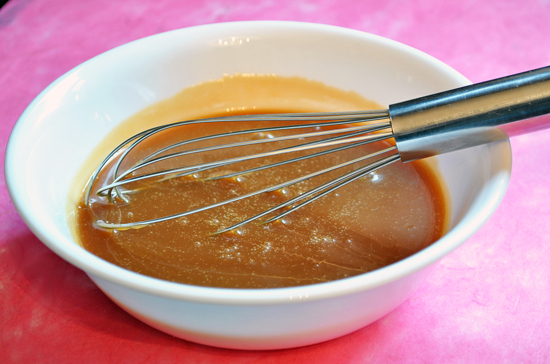 Did you over beat (or under beat) the batter? The frosting is AMAZING!!! 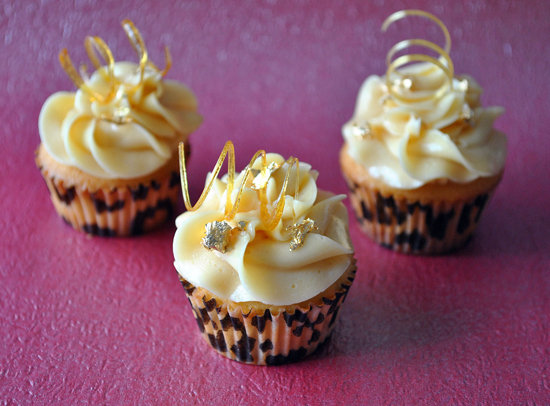 I think I over beat and over baked my cupcakes but I will for sure be trying to make these again! And I want to try the spirals but just didn’t have the energy left after cooking all day with meals for the week.